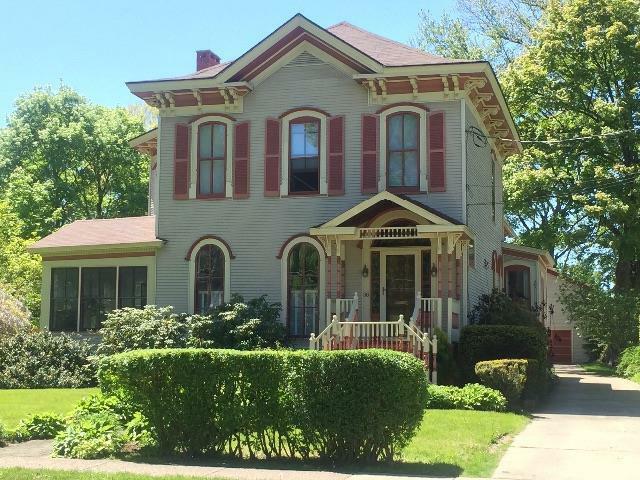 Charming Victorian style home with 5 bedrooms/2.5 baths, large dining room, 2 parlors, family room, den and sun room w radiant heat! Custom kitchen with quartz and butcher block counter tops. 4 fireplaces (3 orginal/dec, 1 working gas). 17'X35' salt water, heated pool. Beautifully landscaped! Bonus, 2-car/2 story carriage house!